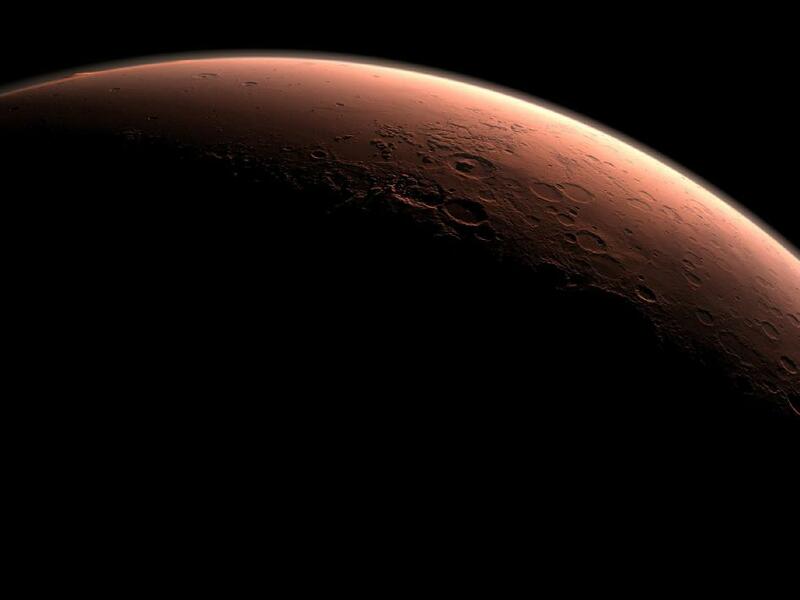 Today's Image of Mars shows part of Mars at the boundary between night and day. You can see Gale Crater is beginning to feel the first rays of morning light. It is the crater in the center with the large central mound. This image was created using information from Mars Orbiter Laser Altimeter, which flew on NASA's Mars Global Surveyor orbiter. Clicking on this image will take you to the original NASA Image of the Day. I highly recommend that you click on it because theirs is much larger.